Hogarth’s Wildlife and Animal Removal specializes in Garage Door Sealing. Door seals are very important. They keep weather and animals out as well as help to insulate. As the temperatures drop during the fall months, mice and small animals will chew on the corners of garage doors to enter homes seeking warmth.Hogarth’s Pest Control, Wildlife & Animal Removal has a tried and trusted method for fixing this issue and prevent from reoccurring. We remove the old garage door seal and replace it with a universal seal. We then add an excluder cloth 12 inches inside the seal on both ends. Animals will will be unpleasantly surprised that they cannot chew through the excluder cloth. 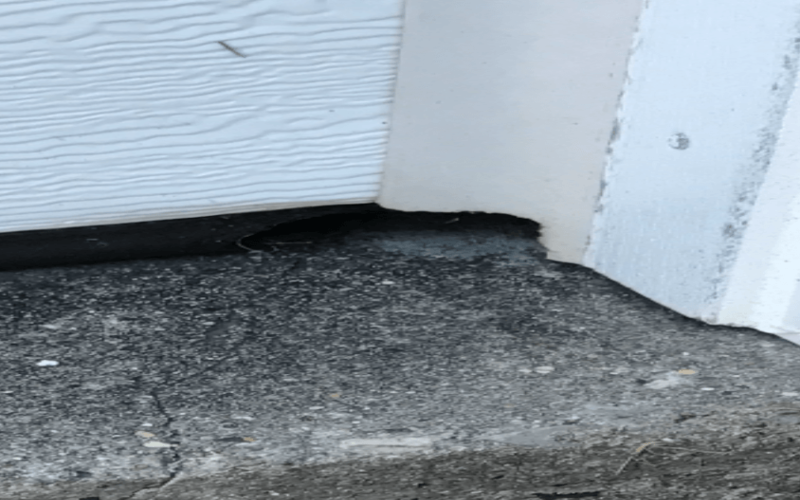 Garage door seals and weather stripping are an often overlooked entrance for rodents into the structure through the garage. Hogarth’s can upgrade the factory installed seal with a higher quality universal strip and replace the pre-existing weather stripping. An imperative first step to keep unwanted pests out of a structure is having a tight door seal. Small gaps at the bottom corner of the door will allow warm air to seep out during the warmer months; this prompts small animals to exploit the gap to make a new home. Replacing the garage door seal and weather stripping also prevents rodents from gnawing and chewing into the home. 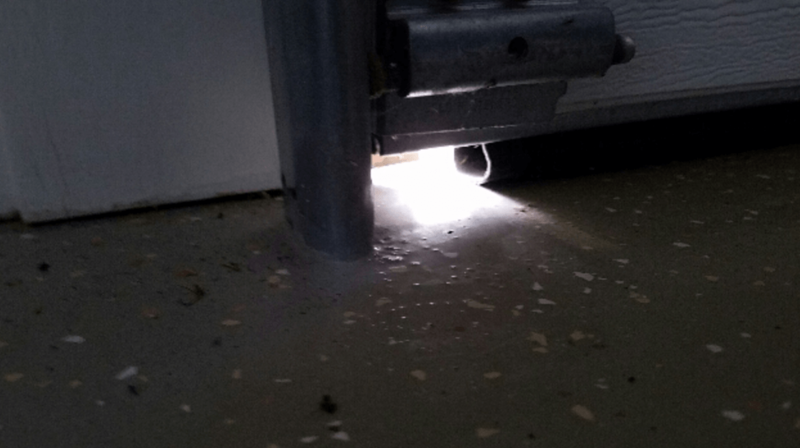 Once both the garage door seal and weather stripping have been replaced, the next step is putting a rodent program in place to control the population. The third step consists of performing exclusion work around the rest of the home; fixing uncaulked pipes, crawlspace vents and doors, etc. When all three steps are complete, we will have created multiple lines of defense against small animals and piece of mind for homeowners and residents. Many garage door companies will try to sell a completely new garage door, when all that truly needs to be replaced is the door seal and weather stripping. Having a professional pest and wildlife control company replace the seal will ensure that it is up to the standards required to keep insects, bats and animals and rodents out of the home.